Director and co-founder of ActorFactor. With a background in human communication and extensive professional experience in the NHS, Gillie’s work combines in-depth knowledge and skills with a passion for interpersonal communication. She works both nationally and internationally with team leaders, senior managers and executives. She continues to train health professionals in leadership, coaching and supervision, with lecturing and research interests in using simulated scenarios for clinical leadership and communication skills. 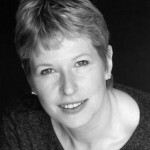 She is an accredited coach and a qualified speech and language therapist and counsellor, together with extensive experience in improvisational drama. She is a voice & dialect specialist, who coaches individually and in organisations. 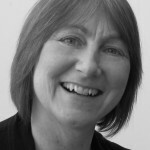 Gillie is accredited in using MBTI and is a member of the European Mentoring and Coaching Council, British Voice Association, Association of Simulated Practice in Health and Association of Speech and Language Therapists in Independent Practice. 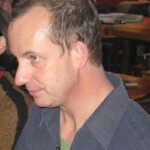 Richard has over 20 years experience in drama based training and business roleplay. He has a PhD in theatre-based experiential learning methods applied in the workplace. Richard continues to lecture, teach and research in the field of drama based training. 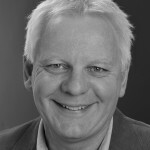 Richard frequently works internationally with senior executives to deliver role-plays, forum theatre, simulations and facilitated presentation and impact training throughout the UK and abroad. 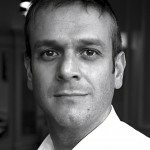 Richard specialises in simulation and drama for the development of work-based communication and influencing skills. Drawing on those aspects of skills and experience in actor training and theatre that are relevant to the workplace, he delivers training in personal impact and presentation skills. Hannah has worked as an actor-facilitator with ActorFactor since its inception and has an extensive background in applied drama. Hannah specialises in community empowerment through the use of theatre tools, and training the trainer. She is co-author of accredited business and organisational training manuals ‘Opening the Doors to Community Enterprise’, ‘Comment’ and ‘Market Own’. Hannah has a wealth of business, leadership and drama expertise that she uses in both design and delivery of many of our core programmes. Anita is based in London and the South West. She has over 10 years experience as an actor-facilitator, providing specialist roleplay for a range of public and private sector organisations such as the Fire and Rescue Service, NHS and undergraduate medical and dental schools. Anita also has experience as a coach, and in delivering diversity training for the civil service. Anita is also an accomplished film director, and has produced a number of ActorFactor training films. She also directs and acts for the stage, touring a highly acclaimed one-woman show nationally from 2010-12. Michael is an experienced trainer and Associate of ActorFactor. He offers training, facilitation and coaching for a wide variety of personal and management development areas that include leadership, presentation skills and trainer development. 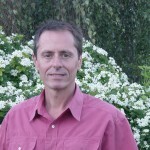 He is a qualified Alexander Practitioner and brings specialist knowledge of stress management in the workplace.